With the release of the Red Hat Cloud Suite there are a few interesting use cases that we wanted to present that showcase solutions using this product. The following article and video walks you through one of these use cases. The application showcased is a microservices application that leverages JBoss middleware technologies on top of the Red Hat Cloud Suite infrastructure. Today’s applications are often monolithic and bringing applications from development to production is a painful and lengthy process. Even if applications are modernized, today’s scale-up infrastructure doesn’t provide the programmability and scalability required. Finally, organizations need to be able to operate and manage new modern applications and infrastructure seamlessly. 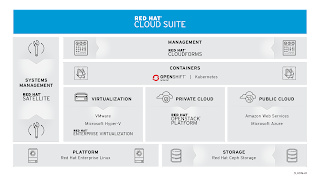 Red Hat Cloud Suite is an integrated solution for developing container based applications on massively scalable infrastructure with all the management required to operate both. With OpenShift Enterprise, organizations can build microservices based applications allowing for greater change velocity. Also, they can reduce friction between development and operations by using a continuous integration and deployment pipeline for release. Red Hat OpenStack Platform allows organizations to deliver massively scalable public-cloud like infrastructure based on OpenStack to support container based applications. Finally, Red Hat CloudForms provides seamless management of OpenShift and OpenStack along with other major virtualization, private, and public cloud infrastructures. Best of all, these are all built from leading open source communities without a line of proprietary code – ensuring access to the greatest amount of innovation. It also comes with access to Red Hat’s proactive operations offering, Red Hat Insights allowing you to compare your environment with the wisdom of thousands of solved problems and millions of support cases. This video is a quick demonstration of how Red Hat Cloud Suite is helping organizations modernize their development and operations. In the demo below I demonstrate how an organization can develop applications faster, on scalable cloud infrastructure, with a single pane of management between both. Stay tuned for more Red Hat Cloud Suite scenarios!